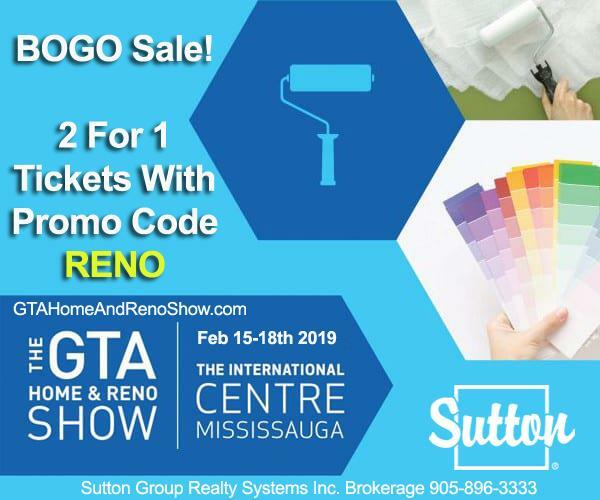 It's a GTA Home and Reno Show BOGO Sale! until Midnight on January 25th 2019 for 2 for 1 Tickets! The GTA Home and Reno Show will take place February 15th to 18th 2019 at The International Centre in Mississauga, Ontario.